How Do I Know if I Need Roof Replacement? | El Paso Roofing Co.
How Do I Know if I Need Roof Replacement? Roof replacement is a major renovation. 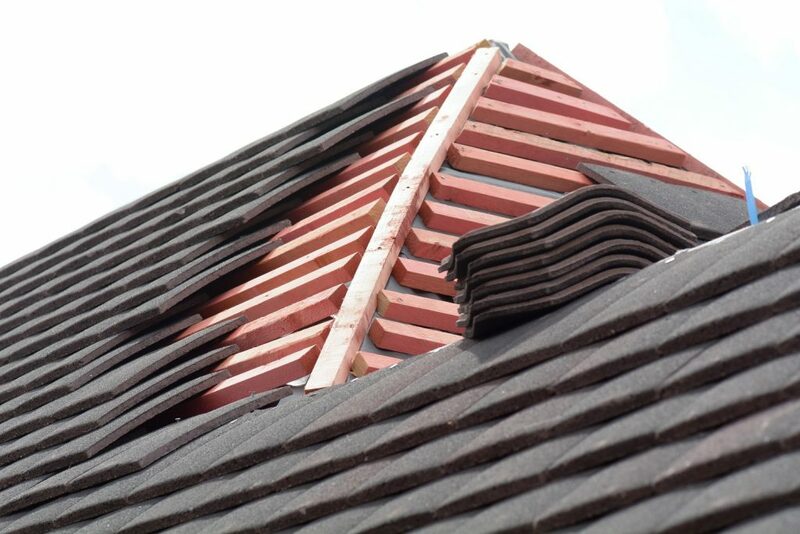 It can be costly, however an insurance claim may cover the cost if your roof needs replacement due to weather damage. In El Paso windstorms and they occasional hail storm can cause major damage. If you are questioning whether you need a new installation or not we have a few signs on what to look for. The most obvious sign of course is missing roof tiles. After a windstorm you may find your roof tiles all over your yard. The tiles may also be lifting up and flapping in rows on your roof. Asphalt tiles that have come loose is never a good sign. Another less obvious indication is roofing granules showing up around the perimeter of your home. They may also end up in your gutters and along your driveway. If you see tiny bald spots on your roof or feel a spongy consistency when you walk on your roof, you may be dealing with a needed roof replacement as well. If you find this indications the next step is to call a roofing expert. They will conduct a thorough inspection of your roof. They may also find things that you may not have noticed. They may also find that your roof only needs repairs. The average roof installation should last around 20 years. If your roof is still relatively new an especially bad storm or weather may have caused some minor problems. Otherwise, your roof contractor can set you up with a quote. The next thing you should do is call your insurance company. An adjuster will inspect your roof as well and make a quote as well for what the damages will cost to repair or what they will pay for a roof installation. After you pay the deductible you will receive a check for the amount the insurance company has indicated, which can be used to pay the costs of roof replacement. Whether you need roof replacement or roof repair, give us a call at El Paso Roofing Co.. We provide expert service and a wide variety of roof services. We understand that dealing with a new installation and insurance companies can be less than favorable. We do everything we can to streamline the process for you and take care of your needs quickly. While a new installation can be loud and intrusive, it only lasts a few days when you call in our experts. Contact us today to get started.